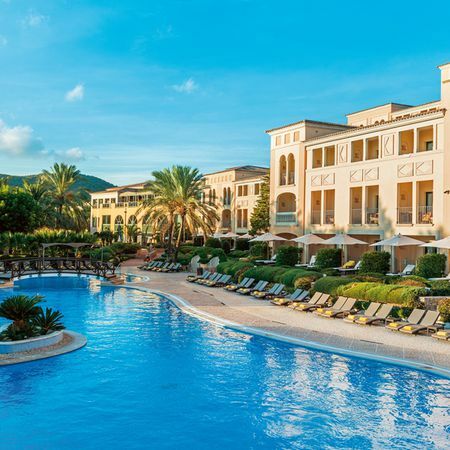 The Hilton Sa Torre Mallorca Resort combines luxury with a charming flair. The outdoor pool invites you to have a relaxing stay. 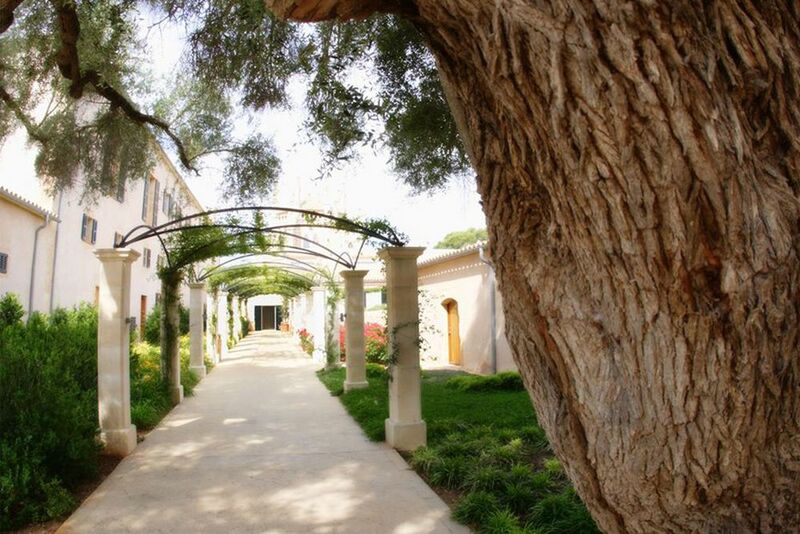 Picturesque paths lead you through a beautiful garden. Rural charm and modern aspiration can be found in harmony here. At night, the Hilton Sa Torre Mallorca Resort is bathed in warm light. The modern rooms invite you to feel at peace. The rooms are spacious and equipped with all amenities. The luxurious bath promises a wonderful start to the day. 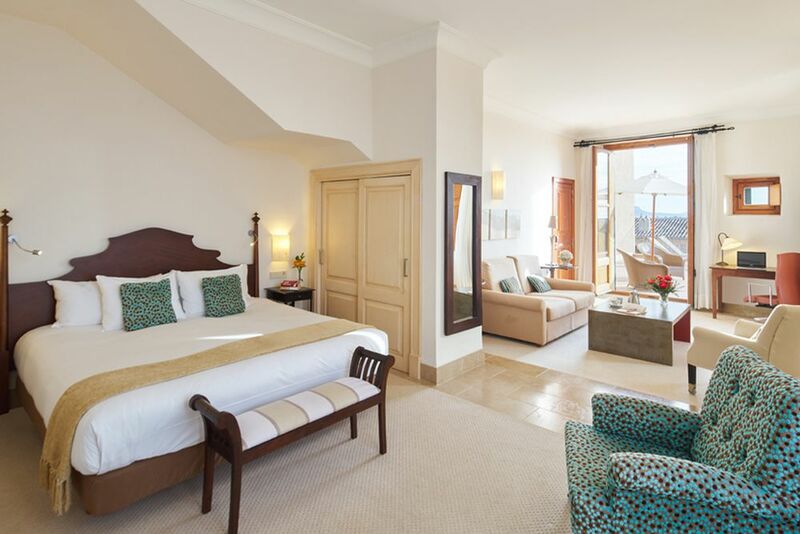 Let your mind wander in the Junior Suite. Enjoy splendid views from your room, accross the well-kept garden. The rich breakfast fulfills all your wishes. 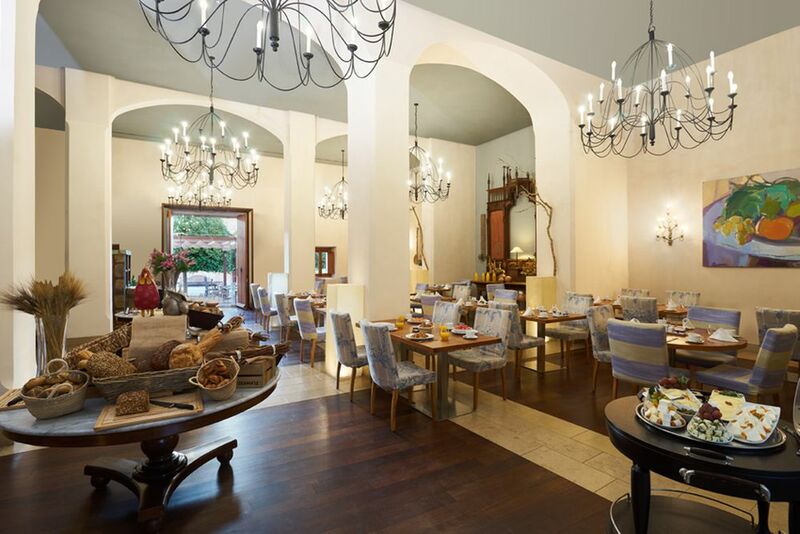 Let yourself be pampered with Mediterranean and international delicacies in the Hilton Sa Torre Mallorca Resort. End your day nicely with a refreshing drink. Lovely details define the house's style. 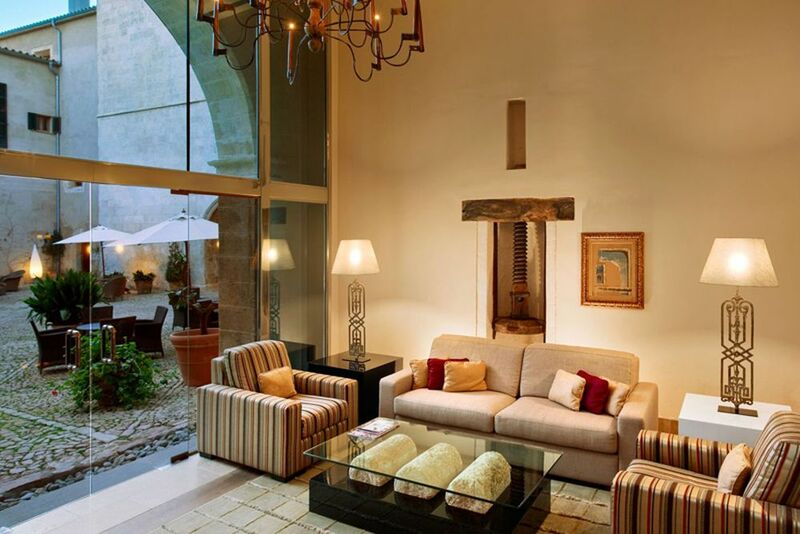 Indulge in a wonderful time-out in the Hilton Sa Torre Mallorca Resort. 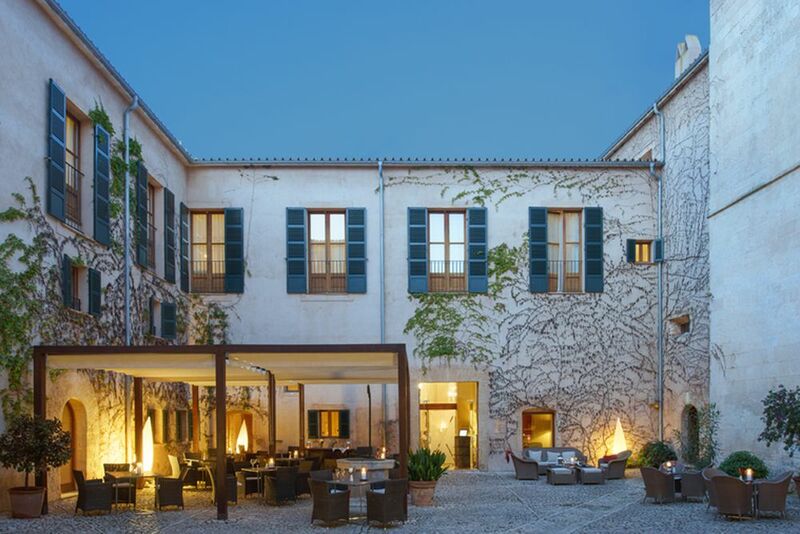 Located on the picturesque island of Mallorca is the luxury hotel, Hilton Sa Torre. It is a true secret holiday spot for discerning travelers due to its Mediterranean ambience and well-known Hilton service for a perfect stay. 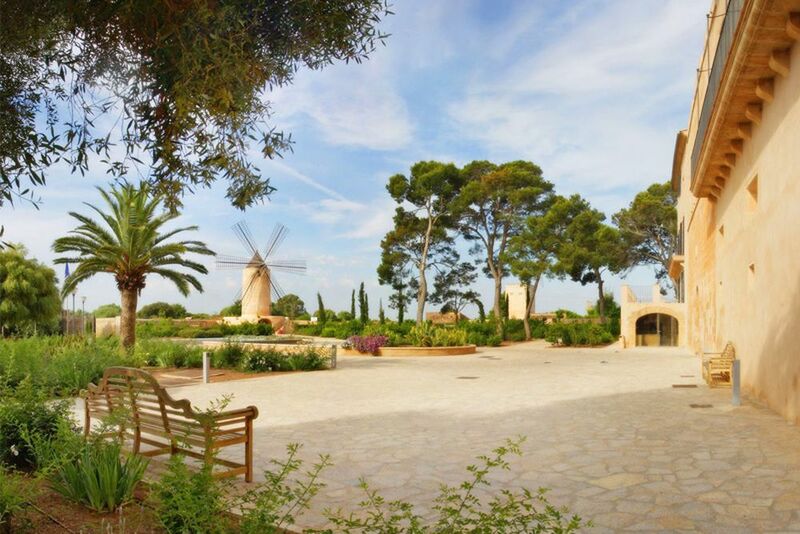 The modern Hilton Sa Torre is set amidst Mallorca’s Spanish countryside, surrounded by a striking 14th century tower. 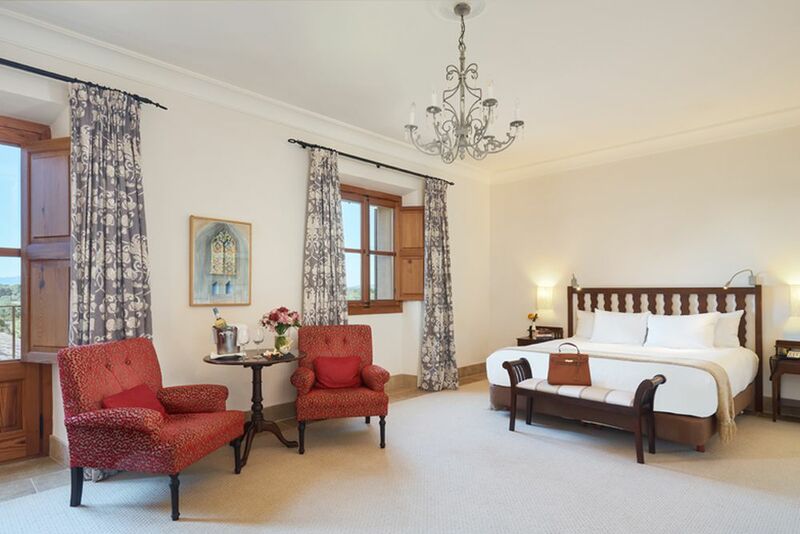 Built in the style of Mallorcan manor houses, the hotel offers a combination of traditional constructions and modern living culture with amenities of a 5-star hotel. Whether you are indulging in exclusive moments of well-being with a beauty treatment in the luxurious spa, or exploring on an adventurous excursion into the beautiful surrounds of the island—this dream holiday offers endless opportunities! 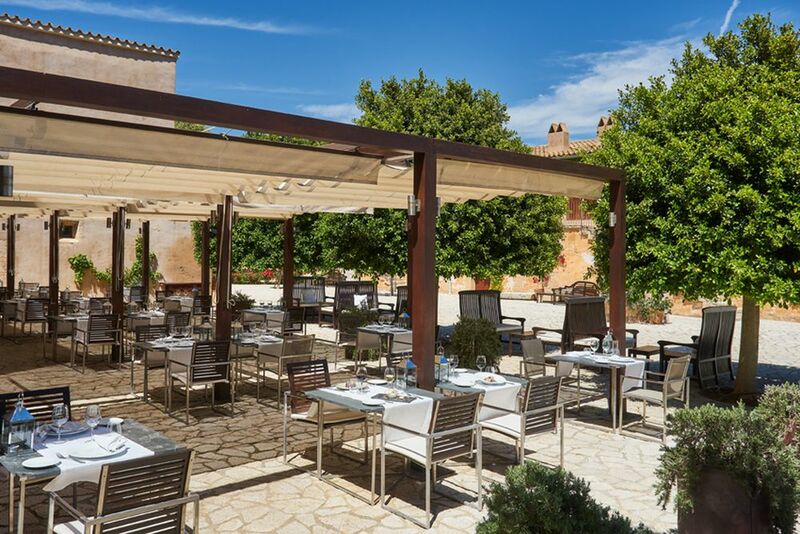 The hotel is 10 minutes from the magnificent beaches in Mallorca and a 15-minute drive from the airport. Hilton Sa Torre is here to make the most of your stay by offering the services you need, the amenities you expect and the extras you deserve. 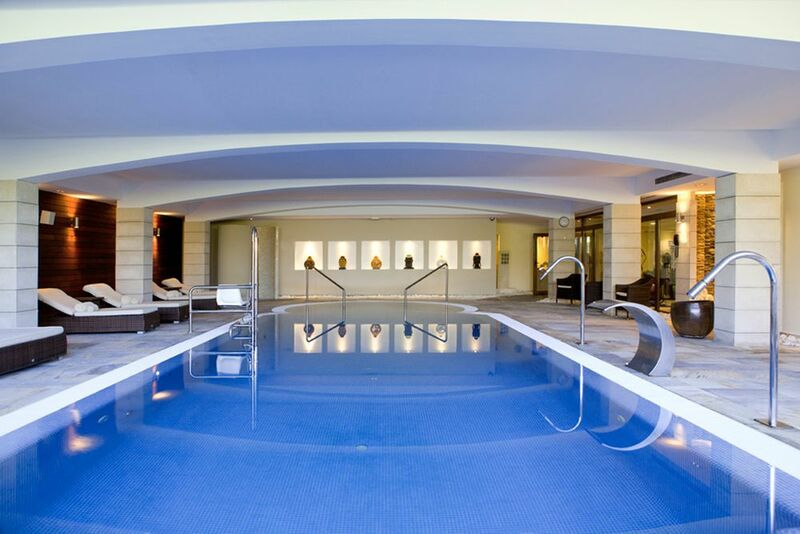 Relax in the Sa Torre Pure spa, play a game of tennis or bask beneath the sun at the outdoor pool area! There is even a Kid’s club for the youngest guests to enjoy themselves. At Arxiduc, ease into the day with fresh coffee and warm pastries while you bask in the sunshine on the outdoor terrace. Savor in a freshly prepared Mediterranean meal and refresh yourself with a fruit juice. 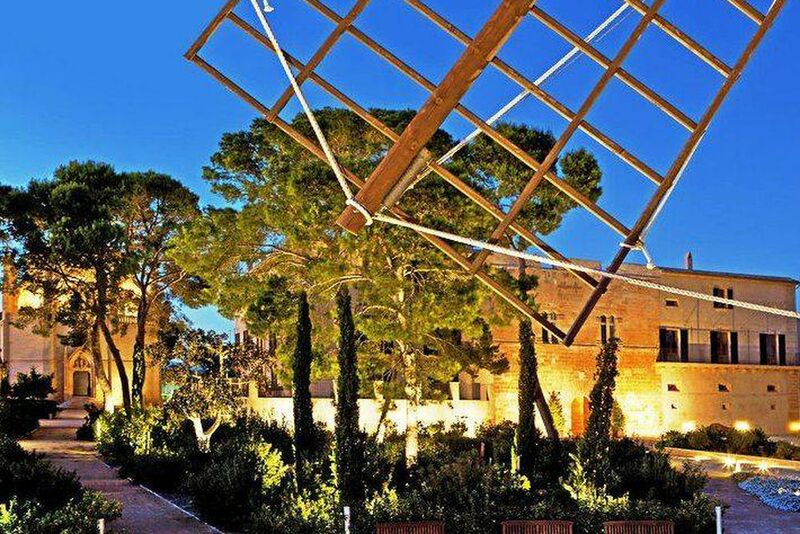 Santacilia pampers you with its Mediterranean and international specialties. At the Pool Bar, luxuriate on a sun lounger with a refreshing cocktail in hand. They also serve a variety of juices, cool drinks and light bar snacks. Relax in Sa Clastra bar, where you can dine on a Hilton Classic or indulge in traditional local sweets as you refresh with tea or coffee. 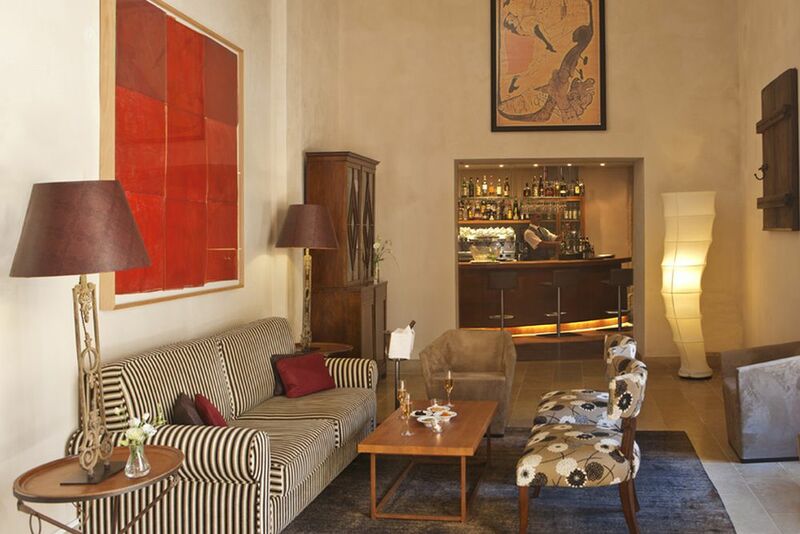 In the evening, try a house cocktail or choose from a list of cava, champagne and sparkling wine. The rooms and suites are designed with comfort and convenience in mind, providing a place to unwind or catch up on work. 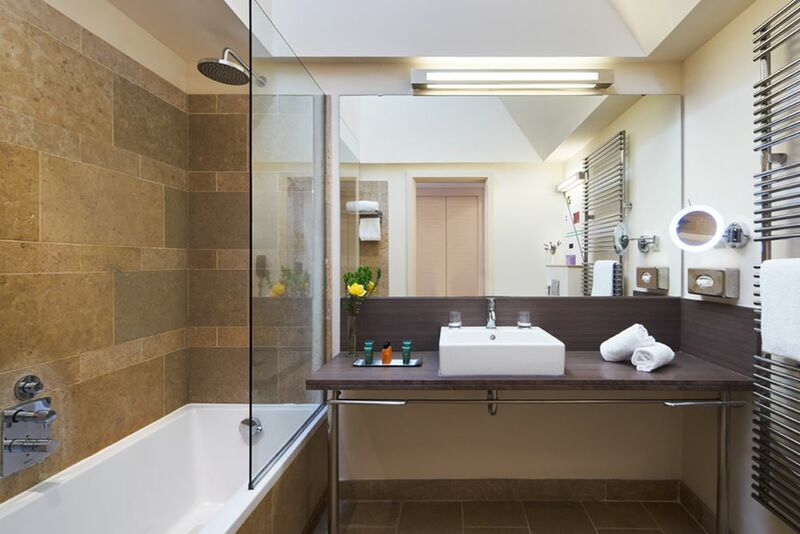 Amenities include an LCD TV, Wi-Fi, a work desk, safe, minibar, tea/coffee facilities, and bathrobes. Guest Rooms (34 sqm)—Relax in this contemporary or classical room decorated in cool calm tones. 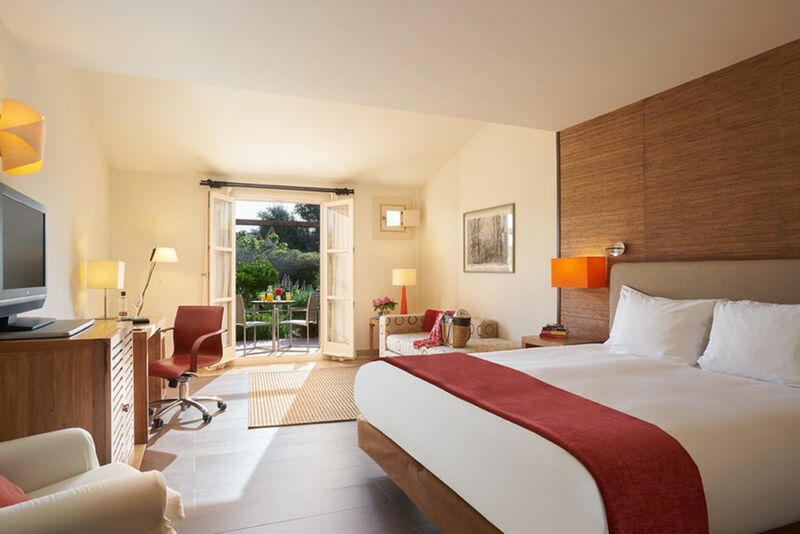 Hilton Deluxe Rooms (40 sqm)—Enjoy your holiday in this spacious room that boasts beautiful views of the garden. Junior Suites (55 sqm)—Unwind in the contemporary or classical suite that offers a separate seating area with sofa. 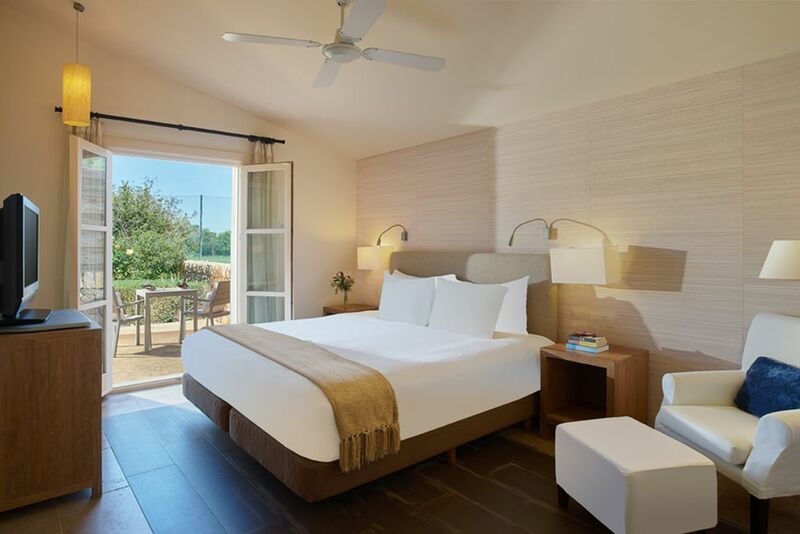 The Garden Suite and Two Bedroom Family Suite offer space for more people. Experience complete relaxation at the Pure Spa. This wellness center emphasizes peace and serenity with the tranquil combination of music and aromas to create a truly calming ambience. Indulge in a range of exclusive beauty treatments, massages and facials using only the finest natural products, some of which are grown on the hotel’s grounds. Relax at the indoor pool, the sauna, Jacuzzi and rejuvenating showers. Information: high quality products of the premium brand Kanebo are offered here. The hotel allows guests to have unlimited access to the fitness room and 2 tennis courts (for a fee). There are several bike routes that start directly in front of the hotel to explore the rest of the island! The two golf courses, Son Antem and Maioris, are about five minutes away.